It just isn’t cool to say one doesn’t care for Stravinsky, especially if one is a professional musician. Yet, everyone has their predilections. I can appreciate the immense innovations he brought to the modern music scene of a hundred years ago, but I can also see a lot of conventionality underneath the bluster. The real genius was his talent for marketing himself, self-promotion, and a hide seemingly thicker than that of a rhino. I performed the Piano Sonata and the Serenade en la, back in the day. Difficult but approachable, somehow corresponding to my pianism at the time, “conservatory” playing. I hadn’t stepped into my full “artist” yet, though there were glimmers, maybe even more than glimmers. When one is uncomfortable with the heart, one allows the head to predominate. 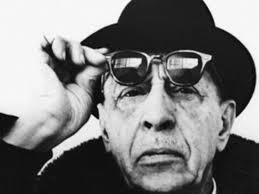 I do believe Stravinsky’s best years were those directly associated with the Ballets russes, which resulted in the creation of Firebird, Petrouchka, and The Rite of Spring. His tweaking of classicism, to create “neo”classicism, is largely annoying, although Orpheus can be very convincing in the proper ritualistic staging. Last week, I spoke here of shape-shifting as it related to Picasso. Old Igor was just as malleable. Whatever the latest fad was, he gave us at least one major work in it, including “12-tone,” a language that he didn’t speak well, and that made his music sound even more mechanical and insincere (to me). Does the general listener really like Stravinsky, or merely give the show of appreciating him, as suburban home-dwellers once proudly displayed coffee-table art books once upon a time to show the culture of the inhabitants. Well, maybe the general listener doesn’t really count, you say. Daykin, really, you ought to be smarter, better versed in the analytics behind the music, able to perceive the awesome compositional value of it. It all returns to what I like to call the head/heart ratio. The conundrum of the twentieth (and perhaps our) century. Too much head. One only has to turn to any garden-variety (what a garden) piece by JS Bach to see and hear one of the greatest heads in western art music, coupled with a profound understanding of human suffering. What about late-Beethoven? Again, marvels of construction and planning, but not neglecting the heart. So, I’m old-fashioned and may take some heat for my attitudes, but they’re my convictions.